Target. A common known frienemy among women young and old. You walk in with the intention of getting one thing for $5 and somehow leave with $50 less in your pocket. You have less money, more stuff and yet regret nothing. It’s funny how that works. Well, imagine my joy when I went to Target, bought what I came for and then made money by the time I got to the parking lot! This is no scam, no tricky play on words. I am being totally, 100% serious; and I’m going to share with you how I did it. ‘Cuz I love ya. Scrolling one of my favorite blogs one day, Fitnancials, I noticed this app, IBotta that kept being mentioned. An app that claimed to save you money on your purchases, plus you get $10 just for signing up! Naturally, this instantly sounded too good to be true. I read that IBotta was a great app for common shopping places like Walmart and Walgreens. Since, I don’t shop at either of those places, I didn’t think Ibotta would be of much use to me. Then, my entire life changed once I realized that the Ibotta rebate app works at places like Target and Costco! Get $10 free when you sign up here! Do rebate apps really work? After I downloaded the Ibotta rebate app, I just sat around waiting to be disappointed. I wish I wasn’t such a sceptic at heart, but I am. To my surprise, everything downloaded just fine. I was able to sign up for Ibotta without losing my dignity, social security number or credit card information. Fair enough. Maybe this thing was worth my time. I got more and more excited as I started searching through the thousands of offers on Ibotta and was quickly able to figure out how to make this rebate app work for me. You can browse Ibotta by selecting the store you want to shop through or just check out the latest discounts. Here are some screen shots of the rebates I was able to take advantage of as soon as I signed up! Not only was I racking up the savings with some of my favorite grocery items, but I also got $10 just for signing up with Ibotta. Get your $10 right now. Okay now, deep breath, because it still gets better. 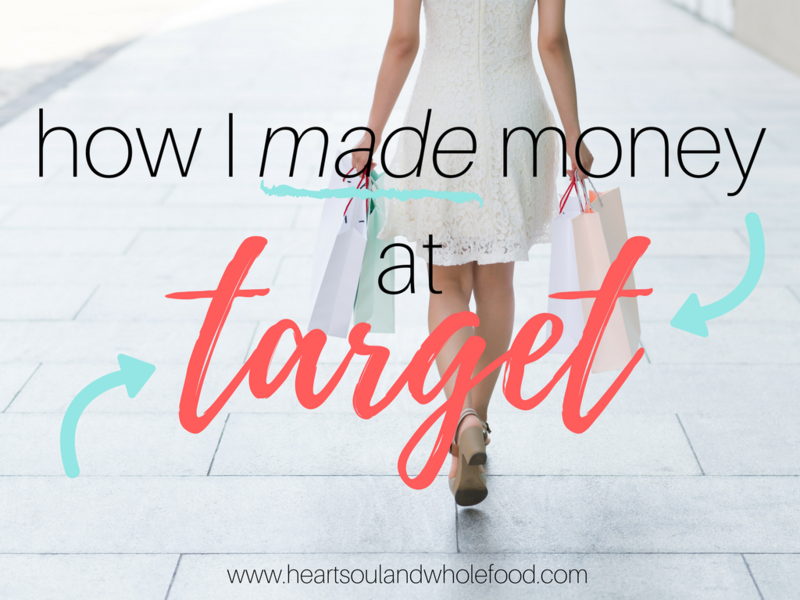 On top of getting $10 just for signing up and getting refunded on foods I had already planned on purchasing some of my savings also aligned with Target’s Carthwheel! If you are a frequent Target shopper, you know all about Cartwheel. It’s now attached to the Target app and is basically used as additional coupons. As major coupon users know, you can use Cartwheel, plus Target coupons, plus manufacturer coupons and your Target card to save as much money as possible. Using the Ibotta app is just one more way to save money. So when you are using the app, make sure to check all other Target discounts in order to take full advantage of all possible savings! Here is some side by side screen shots the super awesome discounts I was able to get with Ibotta and Target Cartwheel. When you are all finished, simply click the “Redeem” button in your Ibotta rebate app. Snap a quick photo of your receipt and Ibotta will instantly share your savings with you! As you can see below, I made $19.50 after my first time using the Ibotta rebate app! Get the app now. Update: I caved and cashed in for a $20 gift card so Tom and I could enjoy a little night out without the kids. After confirming my e-mail I was easily able to get a gift card sent directly to my phone and we saved $20 on our Applebees visit. Not only do you get refunds on your favorite stuff, plus $10 for signing up, you can also earn $5 for any friend who signs up! After my great experience, I told my small group of girlfriends and gave them my code to use when they signed up. As soon as one of them used their app, I was credited $5! I have been using Ibotta for a few weeks now and my total is up over $50! So far I have had no problems ensuring I get credit for my purchases and the app continues to be easy to use. The only information I have had to enter is my PayPal information in order to get money into my account. There is also so much more that Ibotta has to offer me that I have yet to take advantage of! I really wanted to give you guys the run down and fill you in on how to get yourself started. Personally, I can’t wait to start saving more with Groupon and Amazon! I have been tempted into buying more processed foods than I normally would. Really, it has only been chicken strips and some organic snack bars. Nothing too terrible, but still not something I would normally buy. Which is why they probably do these offers in the first place! When you click to receive an offer, you will often be prompted with an easy to answer survey question. Some of the ones I have received have asked how many adults live in our home, how much our household earnings are or how many children are in our home. Nothing too informative and nothing that requires much time or effort. On top of brief survey questions, there will be the occasional video ad to view usually totaling 15 seconds. Last major bummer: when there are double discounts on Ibotta and Cartwheel, you will find that the shelves clear our pretty quickly. As you can probably tell, I am hugely thrilled with how this app has worked to date. To me all the positives greatly outweigh the negatives. After recommending it, I have only heard positive feedback from friends as well. They have tried other savings and coupon apps and said this one is by far the easiest. Don’t miss out. You literally only stand to gain from this app download. I love using ibotta! I have to be sure to check it though not to miss rebates. I especially love the any brand deals on produce! It’s still new to me but I definitely can’t wait to keep digging into it! I just started using Ibotta too!!! I am loving it, I am already over $20 after just a month!!! WOOHOO!!! Good to know! It is so exciting, isn’t it?! Thanks for sharing this! Got to save money when you can! This is awesome! I have got to start doing this! Downloading Ibotta right now! Thanks! Great! So glad you liked the post!! Have fun saving!! This sounds amazing! Thank you for sharing. I’m going to check it out right now – hopefully it’s good in Canada too! Oh! Not sure about that one, Nancy. You’ll have to let me know! I downloaded the Ibotta app a while ago, but I haven’t used it yet. This was a good reminder that I should! It’s always nice to save money. Absolutely!! Give it a try! Even if it’s just a few cents here and there, every penny adds up! YAASSSS! Awesome tips! It take a little work but totally worth it! I’m excited to keep using it more! Heading to Joanne Fabric’s today! I love Ibotta. It’s a great way to make some extra money. I did find it hard to use it consistently because I tend to buy the same products all the time and little processed food. But it’s a great way to get discounts. I wish they had more fruits and veggies coupons!! Same here! I do try to avoid the process…but hey, every little bit helps. Ibotta is amazing! I highly recommend it to anyone who doesn’t already have it! I love hearing long time users who still love it! I’ll admit I have been slacking on my Ibotta game! I’m almost to $20 but somewhere along the way I got distracted and haven’t been using it. You just inspired me to get with the program again! Hooray! Time to rack up the dough! Absolutely! I keep hearing from people that they are loving it! Be careful with Ibotta, if you stop using for a while, they start taking money out of your account with them! Good to know. I’ll have to keep an eye on that! This is my first time hearing about this and this is a great life hack! It’s definitely one to keep around! Wow I need to try ibotta! You definitely do! It has been such an exciting find for me and my family! Sounds like a good deal to me! I heard of so many people recommending Ibotta, so I think it’s time I signed up! Same here! I kept seeing it mentioned so figured I should give it a try. I’m so glad I did! Challenge accepted. Thank you for sharing these hacks. I am sure going to try these out. Target is one of my favs. Absolutely! I love Target and I love making money after leaving even more! A friend shared this with me the other day. I thought it was scammy. I’m gonnahave to check it out!! So did I! It just all around sounded way to good to be true. But it’s not!! Still in shock. I did try this once and then kinda forgot about it! This makes me want to give it another shot! Absolutely! It definitely adds up! this is great, thanks for sharing. i just downloaded it! Hooray! Hope you scoop up some great deals!